Home / cool things / Why hello, Obamas. Welcome to our little country! 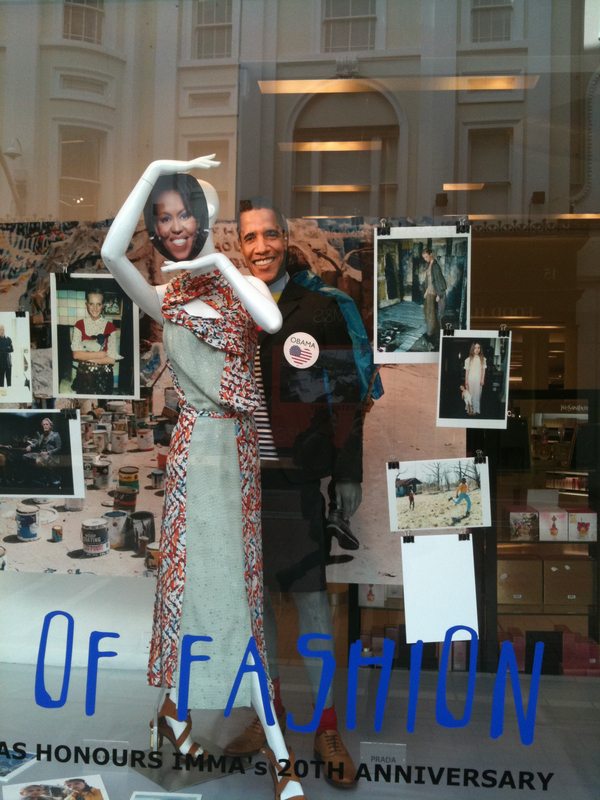 by thefashionnomadon 23, May, 2011 23, May, 2011 Leave a Comment on Why hello, Obamas. Welcome to our little country! So we had Barack Obama, (or as Imelda May so brilliantly called him: Barry Obama) and his wife Michelle touched down today in Dublin for the day to visit his ancestral village of Moneygall and then to speak at a free public event on College Green. For fashion bloggers there’s not much to say on the event, other than how pretty Michelle looked (but she always dresses so well) so this is a bit of a moot point. 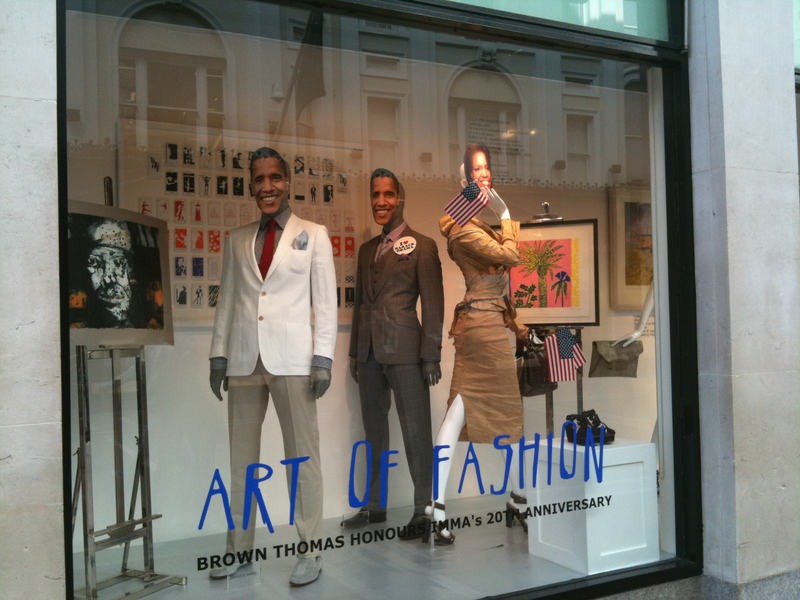 But while walking down Grafton Street today to go and see if I could get a peek of Barack Obama (failed there), I did spot a small alteration to the window displays at Brown Thomas. 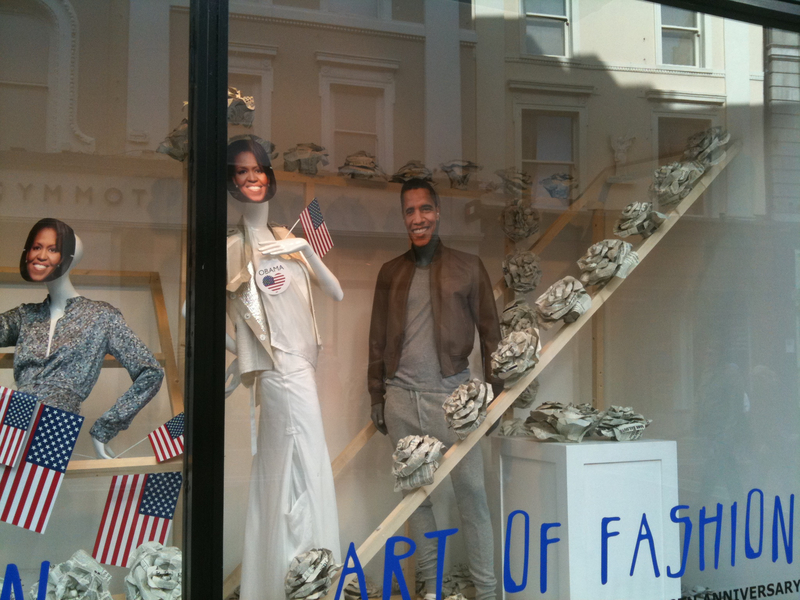 All the models were wearing Michelle and Barack masks and large buttons with “I heart Obama” on them. It was quite an amusing and clever way to pay respects to the President of America and his First Lady popping into the country. 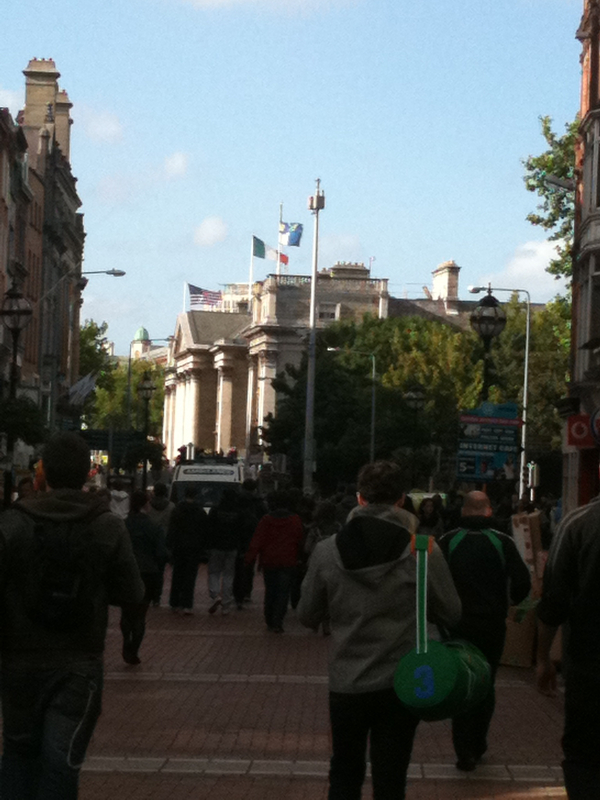 The American flag flying over my old alma mater, Trinity College.